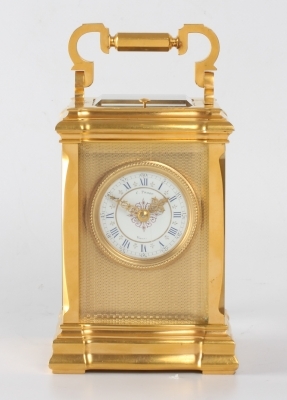 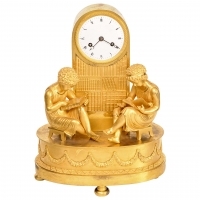 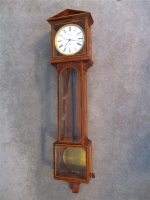 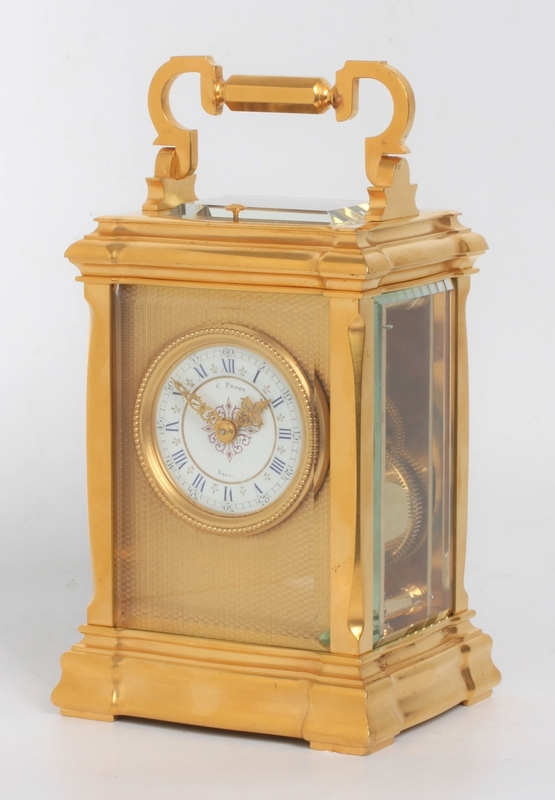 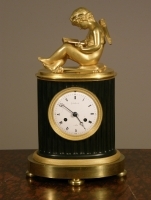 A French gilt brass carriage clock in unusual case, C. Prost, circa 1890. 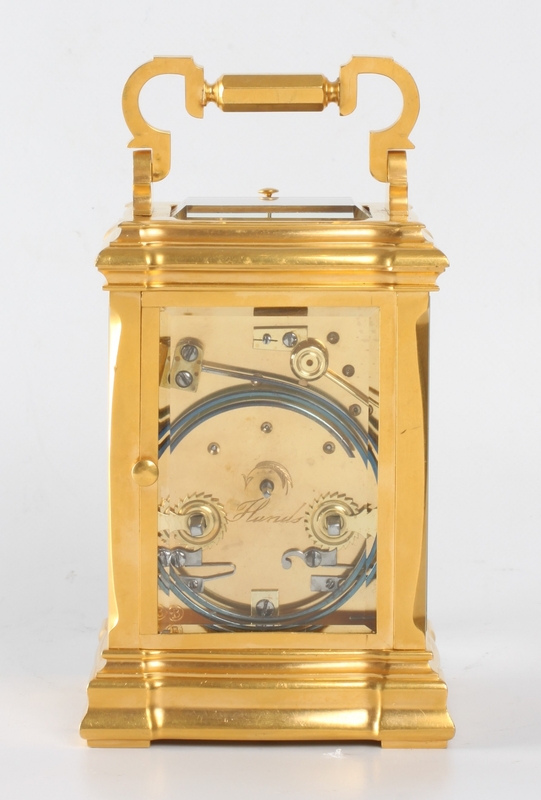 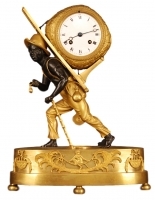 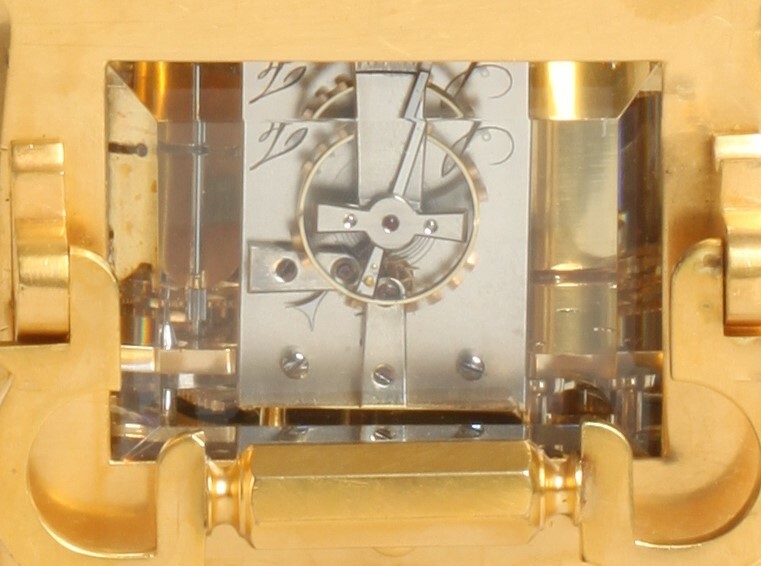 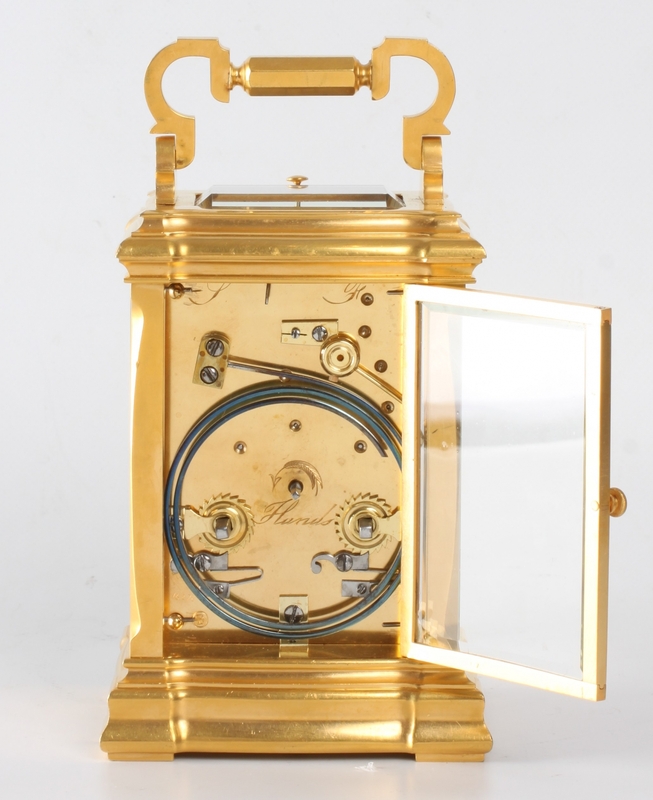 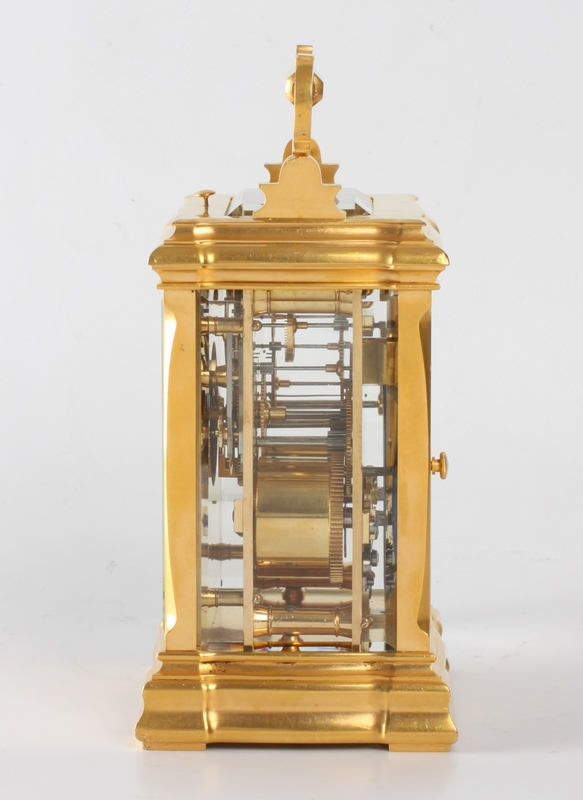 8-day movement with half hour striking, gilt brass case of unusual form. 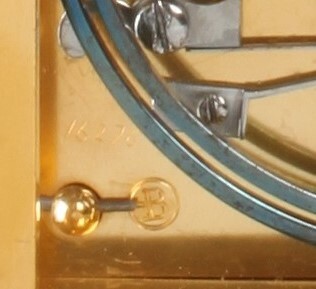 4.3-cm enamel chapter ring with blue Roman numerals and fleur-de-lys half hour markings, centre with foliate roset and signed for the retailer C. Prost Vevey, finely foliate pierced gilt hands, set in a engine turned gilt brass mask, spring-driven movement with platform lever escapement of 8-day duration marked 'B', half hour rack striking on a gong with repepating on demand, gilt brass case of unusal and elegang form, surmounted by a handle and with organic shaped moulded parts throughout with beveled glass panels.